Most people who suffer from headaches or migraines know that identifying their triggers is an important part of managing their head pain. 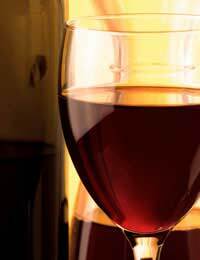 There are commonly known migraine triggers such as red wine that may be a personal trigger for your headaches. On the other hand, you might also find that you have unique triggers that aren't well known ones which are typically associated with headaches or migraines. Another aspect of headache and migraine triggers that may be an unfamiliar one is that triggers can change over time. Also, you may discover that there is a specific combination of triggers that leads to a headache or migraine. Perhaps also encouraging is that a food, chemical or similar trigger today may ultimately not be an issue in the future. For all of these reasons, it is important that you keep track of headache triggers by providing a record of these triggers. In this way, you can succeed in better managing your headaches or migraines for life, rather than just in the short-term. Your most effective and accurate tool to monitor headache and migraine triggers is to keep a headache diary. A headache diary will not only allow you to identify current headache triggers but it can also bring to light changes to triggers or new patterns that may emerge in the future. For instance, you may know quite well that low blood sugar from a missed meal triggers an intense headache. For this reason, you would avoid missing meals and you would aim to eat regular, healthy meals, particularly at the first sign of hunger. Low blood sugar can commonly trigger headaches and due to its mechanism, it is unlikely that if it is a trigger now, it will suddenly disappear. Other triggers, however, might include red wine. You may choose to avoid red wine for a period of time. If you find headaches improve, then you can continue to limit or avoid consumption. For others, they may later want to attempt to add in small amounts to monitor if any headaches or migraines occur. You might then find that a glass or two each week is fine but more than a glass means headaches return. In this way, you can keep a record of headache triggers while also promoting realistic lifestyle changes that may still allow you to include favourite foods or drinks. Another scenario you may notice is that prophylactic headache medications will allow you to indulge in foods or similar triggers that you would normally need to avoid. Your headache diary will help you ensure you keep a record of your changing headache triggers. At the most simple level, your headache diary can be a little notebook that you keep with you, readily available to jot down a record of anything that occurred prior to a headache such as foods you consumed or any particularly stressful event. At a more complex level, you can create a template for each day – best done on your computer – that allows you to keep track of your sleep patterns, foods consumed, stress, exposure to different environments and anything else that might be associated with the onset of a headache or migraine. Suffering from headaches and migraines is not something that should be done alone – your doctor is there for assessment, guidance and support throughout the process. A physician is important in helping you to keep track of headache triggers. A doctor can also refer you for allergy testing if needed, particularly if your headaches are accompanied by allergy symptoms. As your body and personal environment and circumstances change with age, your headache or migraine triggers can similarly change. By keeping a record of headache triggers and communicating regularly with your doctor, you can ensure that your headache or migraine treatment plan remains both current and successful. Interesting article. It can be frustrating to find what triggers my migraines. I was writing everything down (hard to manage sometimes) and thought my migraines in the evening were related to something I was eating - junk food in the afternoon.I found it easier - since I got an iPad to use a website called Trigger Tracker to journal. I am finding out the really bad migraines are probably due to stress from evening commutes. Not sure if it is just the stress or if it has something to do with my glasses - going to eye doctor next week. Good luck!